Just as your child needs regular checkups with the pediatrician, regular visits with the dentist are necessary, too. Prepare your child for that first visit and the result may be the start of positive, lifelong dental care. The ideal time for a child to visit the dentist is six months after the child’s first (primary) teeth erupt or at age 1. This time frame is a perfect opportunity for dentists, Dr Murphy and Dr Shivji, to carefully examine the development of the child’s mouth. Because dental problems often start early, the sooner the child visits the dentist, the better. To protect against problems, such as early childhood tooth decay, teething irritations, gum disease, and prolonged thumb- or pacifier-sucking, the dentist can provide or recommend special preventive care. Before the visit, ask Dr. Murphy or Dr. Shivji about the procedures that will take place during the first appointment so there are no surprises. Plan a course of action for any possible reaction your child may have. Very young children may be fussy and not sit still. Others may become very frightened and cry. Some children may not re-act negatively at all. Some may enjoy the appointment very much! There are a number of children’s books about going to the dentist. Read these books with your child before his or her first visit to familiarize your child with what will happen at Queen’s Park Dental and help lessen any potential anxiety. Try to make the upcoming appointment something to look forward to. Help your child understand what will happen during the visit. Also, be sure to bring any records of your child’s complete medical history for his or her dental file. Often a first visit is simply a time to acquaint your child with the dentist and the practice. If your child is frightened, uncomfortable, or uncooperative, you may need to reschedule the appointment. As a parent, you should try to remain patient and calm, reassuring your child that the visit is not scary or something about which to be afraid. Any anxiety on your part will be transferred to your child. Short, successive visits can build the child’s trust in the dentist and the dental office and prove invaluable if your child needs to be treated later for any dental problem. Children’s appointments should be scheduled earlier in the day, when your child is alert and refreshed. For children younger than age 2 or 3, the parent may need to sit with their child in the dental chair during the examination. An assessment of the need for fluoride. Dr Murphy and Dr Shivji should be able to answer any questions you have and try to make you and your child feel comfortable throughout the visit. Children, like adults, should see the dentist every six months. Some dentists may schedule interim visits for every three months when the child is very young to build the child’s comfort and confidence levels or for treatment needs. 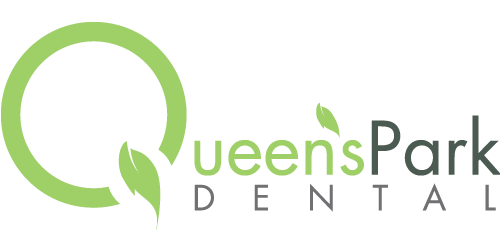 If you have questions about your child’s dental needs, please call or email us at Queen’s Park Dental.